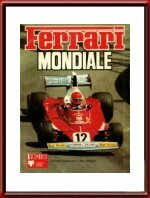 Ferrari Mondiale 1975 Year Book / Annuario or "Mondiale". 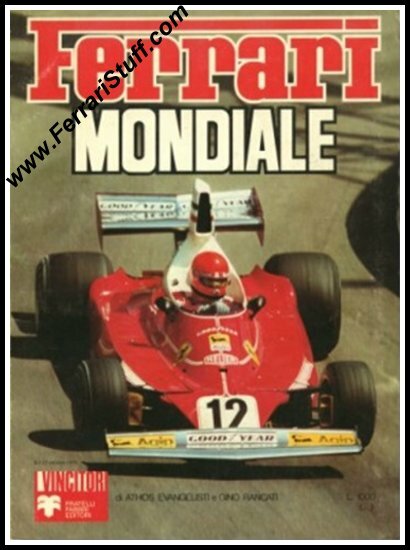 The 1975 year book of Scuderia Ferrari under the guidance of a very young Luca di Montezemolo who brought Niki Lauda to the World Championship title. Great pictures and elaborate description of each of the 1975 Grand Prix. Of course also a lot of attention to second driver Clay Regazzoni. Ca. 8 x 11 inches. 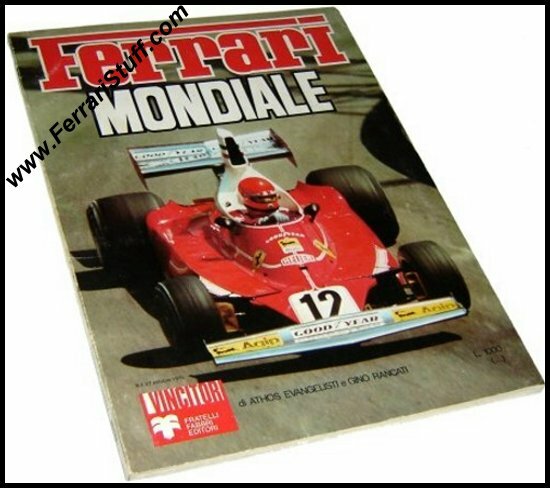 Please note: Ferrari did NOT issue yearbooks themselves between 1971 - 1988 so also this one is a third party issue but rare as hens teeth nevertheless.